You are here: Home / Music industry & related / Music Journalism / Metal News / Another guitarist bites the dust. RIP Cory. I’m not a huge GWAR fan, but respects must be paid to a metal brother. Too many are biting the dust in the past few years. 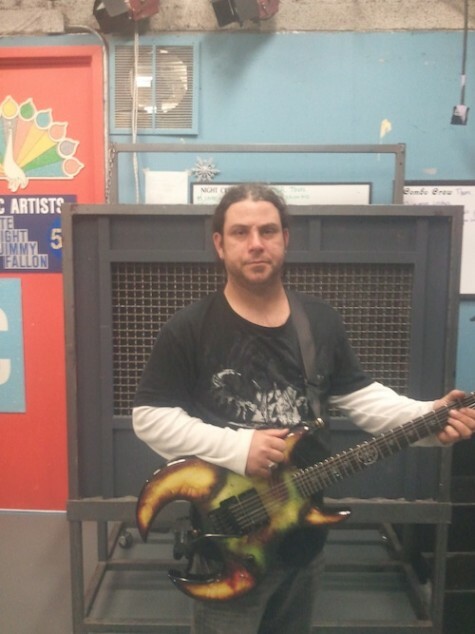 “It is with a sense of profound loss and tragedy that the members of GWARmust announce the passing of their longtime guitarist and beloved friendCory Smoot, also known to thousands of metal fans worldwide as Flattus Maximus. Cory was found deceased this morning as the band prepared for a border crossing. There is no word as to the cause of death and the members of GWAR are completely shocked and devastated that this has occurred. “At this point, there is no word on arrangements and the disposition of the remainder of GWAR‘s current North American tour, nor are there any details regarding long-term plans. “At this point, we are just dealing with the loss of our dear friend and brother, one of the most talented guitar players in metal today. Cory joined GWAR in September 2002. Being a talented producer, he lent his technical skills to the recording of “War Party”, and co-produced, as well as co-mixed with Devin Townsend (STEVE VAI, STRAPPING YOUNG LAD) GWAR‘s 2006 release, titled “Beyond Hell”. The two albums were recorded at Karma Studios, owned and operated by Smoot. Smoot was the longest-running Flattus and was in the videos for “War Party”, “Bring Back The Bomb”, “Womb With A View”, “School’s Out”and “Eighth Lock”. Smoot was considered by GWAR fans to be the “trueFlattus“, as he was the longest-serving person to portray the character inGWAR history. Smoot also produced the follow-up to “Beyond Hell”,“Lust In Space”, along with other members of GWAR, and even sang lead vocals on the track “Release The Flies”. GWAR‘s latest release, “Bloody Pit Of Horror”, features a 12-minute epic of four songs strung together, which was largely the brainchild of Smoot. Originally he wrote the music for a solo project of his, but by the suggestion of Dave Brockie, it was reworked to become new GWAR material.